Your lips will embrace the natural moisturising effects of the EFAs in this lip tint produced from a blend of avocado and coconut oils. The sweet coral with a pop of pink colour is so very pretty and the natural blood orange flavour is delicious but not overpowering. It comes in recyclable tube and is vegan and cruelty free. It?s free from chemical nasties too like lanolin, phthalates, parabens and petroleum – just 100% pure natural beauty. cocos nucifera (coconut) oil [emollient/ moisturizer], glycine soja (soy) wax [emollient/ mositurizer], euphorbia cerifera (candelilla) wax [emollient/ mositurizer], theobroma cacao (cocoa) seed butter [emollient/ mositurizer], persea gratissima (avocado) oil [emollient/ mositurizer], natural flavor [flavor], vitamin E [emollient/ mositurizer], rosmarinus officinalis (rosemary) leaf extract [beneficial].ÿ May contain [colorants]: mica, titanium dioxide, iron oxides. The Pacifica Colour Quench Lip Tint Blood Orange - 4.25g product ethics are indicated below. To learn more about these product ethics and to see related products, follow the links below. 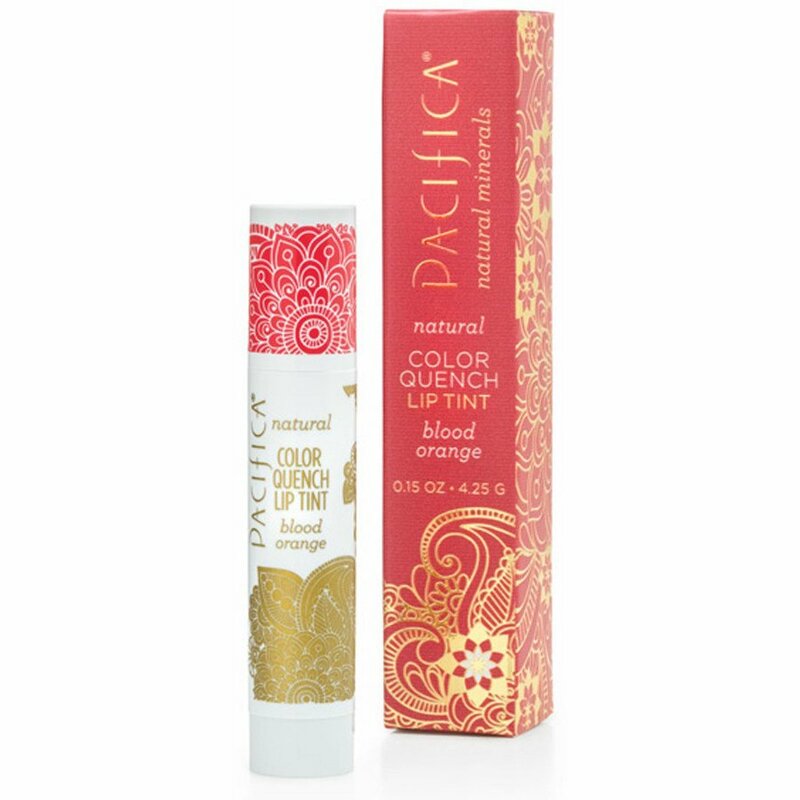 There are currently no questions to display about Pacifica Colour Quench Lip Tint Blood Orange - 4.25g.